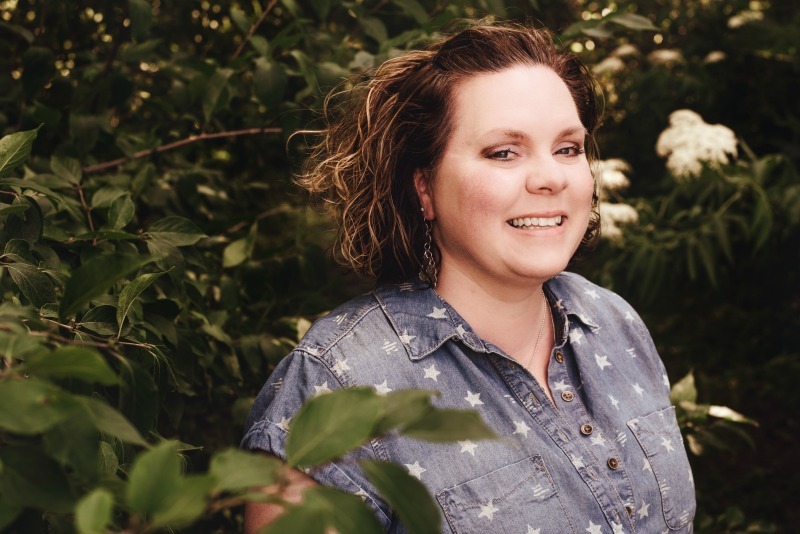 Moms in Focus: Meet Trisha! - A Life From Scratch. 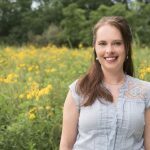 Moms in Focus: Meet Trisha! Let’s face it. It’s hard being a mom in today’s day in age. Not to diminish previous generations, at all, but this whole Pinterest social media blasted day and age of mothering can be rough. There are a lot of stereotypes that come into play. How a mom should look. Act. Dress. Going even beyond, and that much more damaging, is how a mom should mother. Not only do we come in all shapes and sizes, but we also all tend to our little(s) differently. Not only is that OK, but it should be celebrated! With that being said, I could not be more excited to introduce my new series on A Life From Scratch: Moms in Focus. 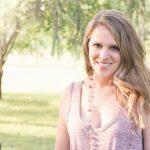 I’ve partnered up with the oh so talented photographer, Michele Ryan of Silver Branch Photography, to bring a you a series that focuses on the beauty of mothering in all different shapes and styles. All of these moms have felt judged in one way or another, and this series has been created to shed light on how that can make a mom feel. Let’s even the playing field a bit, shall we? Deep down at the core, we moms are all really just trying to do our best. Without further ado, I introduce to you another wonderful Mom in Focus: Meet Trisha! Hi! Tell us a little bit about yourself and three words that describe you as a mom. I am married to Brian and have a wonderful son, Brooks. I am a Principal of a 3rd – 5th grade school building in Bradley, Illinois. Brian and I tried for years to have children, but after three artificial inseminations and two failed IVFs we decided it was time to look to alternatives to create our family. Three words that describe me as a mom: blessed, loving, present, Jack of all trades/Ring Master (sorry that is four things!). And now tell us about your darling kid(s). Brooks is an energetic, empathetic, funny, intelligent, athletic boy! We had the blessing to meet him in the hospital with his birth mom the day after he was born. He came home to us three days later. His birth mother chose us to be his family in her third trimester. How do you feel your style of mothering is like others? My mothering is like others in wanting to have a well-rounded, kind, respectful child. Since we’re focusing on judgment that moms experience, what have you felt judged for? The judgment usually has to do with his race or why we did not have our own children. Then people want to know if he know he’s adopted. Which is yes! As soon as he could talk we would talk about it with him. A lot of times people will say “I couldn’t do it.” Open adoption is what is the norm, but with his birth mother we have a semi-open adoption. She wanted it that way. We actually were open to have our birth mom as part of our family. When people hear that, they again say they couldn’t do it. Our family is not traditional and we knew it wouldn’t be, but we love it anyway! Another area of judgement is that I am a working mom. I technically have three full-time jobs: Wife, Mom and Principal. As if I cannot do it all! We established our careers as we tried to create our family. Now we are focusing on our family. We, I, can have it all! How did that make you feel? What was your response to any uncomfortable situations or discussions you’ve been in because of someone judging you (if there have been any)? Initially, I felt inadequate and incompetent. NOW, I consider the source and take the opportunity to educate. Judgment is an opinion of “how it should be” and a lack of knowledge and understanding. This has made it more palatable when the questions come. What would you like to tell the world about moms and why it’s important not to judge our choices? For the moms out there, we are in this together. We all have different backgrounds, experiences that make our journey unique. Refrain from judgement until you know the whole story. You may not ever know it, so then offer a kind word or gesture. Judging is your opinion project on someone else. Also, sometimes the choice is out of our control. Tell us your biggest joy about raising your kid(s). I love the spontaneous hugs and the thank yous. I love to see when he learns something new! My favorite time with my son is at night getting ready for bed; the quiet time and talks we have then. Plus, reading him a story and saying prayers together. Thank you so much, Trisha, for sharing your time and your beautiful family with us. I can’t imagine handling all the questions that come your way. It seems you handle them with such grace. Brooks is completely adorable! Want to see more? Head on over to the Moms In Focus Facebook Page – and be sure to follow us along for updates including more moms to come. Yippee! 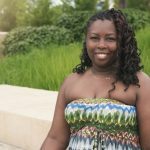 Moms in Focus: Meet Sharon! 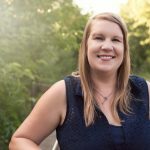 Moms in Focus: Meet Sara! I love this post…Trisha is clearly an amazing mom! I do believe one day we won’t have to deal with the string of invasive questioning with adoption and alternative ways to grow a family, but she is doing an excellent job staying strong for herself and her family. Bravo!